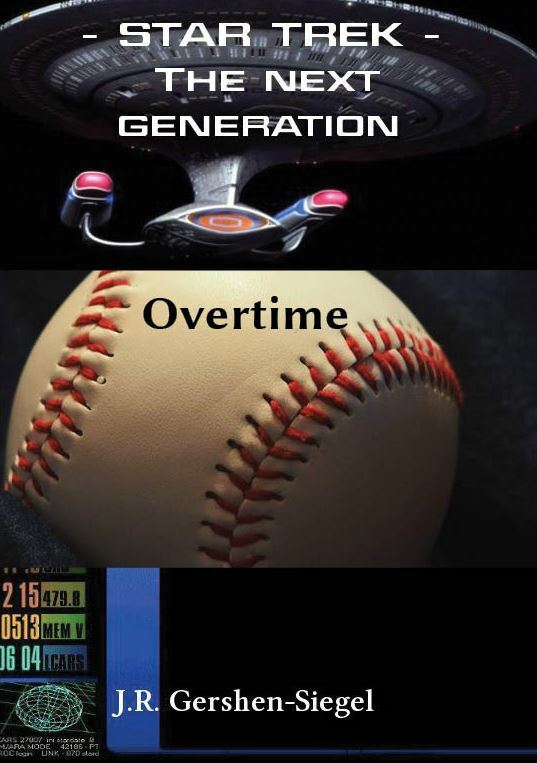 Overtime suffered – a lot – from my burnout. It took me years to finish it! For the final wrap-up story in the Barnstorming series, I put it off and put it off forever. Frankly, I had forgotten about it. But then I started to run out of stuff to post on Fanfiction.net, and that meant I needed to finally finish the series already. Because Rick Daniels has not fully restored the timeline, he needs to run through and change everything – again. With the help of Mack and Marty, and the rest of the gang, the timeline is finally fully restored. With incomplete timeline restoration, Rick Daniels has to work with the temporal natives in order to catch a thief/vandal in the act. While the perpetrator is not aware of how damaging her actions are, he cannot tell her the truth. Instead, he confides in Mack to help him catch the perpetrator right before she does her damage. At the same time, Crita is fretting about getting married as Marty and Mack’s thoughts turn in that very same direction. But there’s only one possible way to marriage for them, and that’s to contest the unfair and ineffective Cousin Marriage Law. In addition, untied loose ends included Wesley Crusher and his girlfriend, Lakeisha Warren; Future Guy (and Gal); and getting Mack some measure of justice. There was a lot to think about, and to plan. Furthermore, it was important to me to shout out to various older series because I had (and still have) no idea if I will ever write any more Star Trek fan fiction. The story does not have any appreciable music or musical themes. The story has a K rating. Once I started to push myself to finish in 2018, the pieces started to fall into place. Some nagging plot points slowly resolved themselves. I will admit I spent a lot of time saying goodbye to characters, but that is completely understandable. I do not intend to write any more fan fiction but you never, ever say never, eh? After all, These Are the Destinations and Paradox are still not finished…. Finally, you can find me on Google+, which is going away in April of 2019. Easy come, easy go, eh?